Please click here to fill out a Groupon scheduling form. Please allow 48 hours for someone to contact you and schedule your Groupon service. What is covered by my Groupon purchase? Your Groupon covers 3 rooms, additonal rooms can be added for $15 per room. How do I determine what is a room? Use this simple rule, “if it has a name, it’s a room”. Even in open floor plans or apartments, these areas are distinct sections of your home. What is cleaned in each room I choose ? 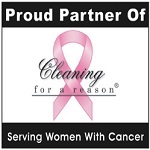 Please see our services section for a specific list of house cleaning tasks. If you would like any services outside this list please contact us to discuss the needs in your home. * Baseboards, blinds and window sills are only dusted, please let us know in advance if you would like these items hand washed. * In order to keep our employees safe and healthy they can not stand on ladders or climb on anything, or pick up human or pet waste of any kind. What do I need to do before Bit a Bliss cleans my home? We provide all cleaning supplies so all you need to do is pick up any clutter on surfaces and floors. This allows Bit a Bliss to get all those surfaces sparkling clean. No, many of our clients give us instructions on how to access a key. We clean and lock up when we’re finished. That is no problem, we just ask for a 48 hour notice on any cancellations or rescheduling. If we do not recieve a 48 hour notice there may be a $15 trip fee. It’s up to you, but your cleaner would appreciate it very much!